In UN MUNDO EN ROTACIÓN, the author describes the deductive process followed that led to the Theory of Dynamic Interactions (TDI). This theory proposes new keys to explaining the dynamics of our environment and understanding the universe. Furthermore, it studies inertial forces and incorporates inertial reactions, specifically the concept of the gyroscopic torque, to the structure of a new, rotational dynamics of accelerated systems. The proposed theory generalises these dynamic concepts which had become de-structured in classical mechanics, and enables us to confirm and understand the physical and mathematical correlation that holds between orbiting and intrinsic rotation and, therefore, the reason why we have day and night on Earth. 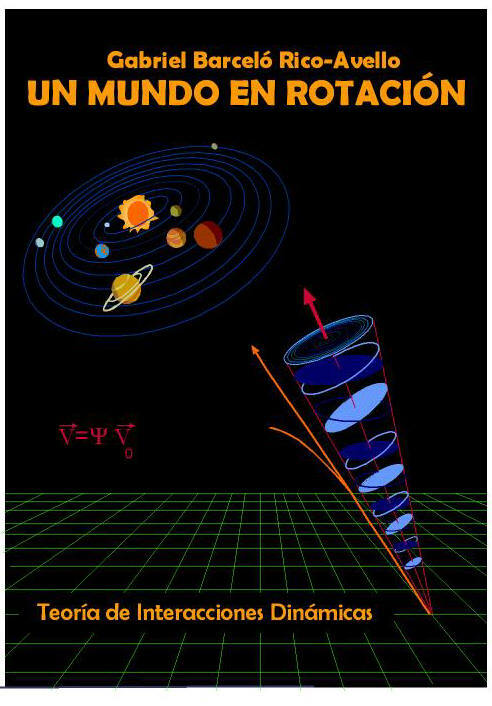 The book explains TDI rotational dynamics’ hypotheses with numerous experiments and puts forward a host of behavioural situations as patent examples of it, arguing that the classical laws of mechanics, though fully valid and proven, exclusively refer to situations of translational movement in inertial systems, when in the universe and in nature, movement normally manifests itself by way of accelerations, especially in rotational dynamics circumstances. As a result, this work calls for greater interest by the physical sciences in the examination of non-inertial, accelerated systems and points to the need to develop scientific research programmes to assess and analyse these systems, until such time as the Theory of Dynamic Interactions is confirmed, generalised and, where appropriate, applied in a wide range of scientific and technological fields.